Premium 2 is a clean burning synthetic blend of high performance polyester, polybutene and petroleum base stocks along with ash less additives that provide outstanding anti-wear and anti-scuff protection and virtually no carbon deposits. NMMA TC-W3 Premium 2’s environmentally friendly formula is extremely “low smoke” and will keep rings and power valves free and operating at peak performance. Exceeds API TC, ISO-E-GD and JASO-FC standards and all OEM requirements. Premium 2 has a pour point of -50 degree, so it is recommended for use in snowmobiles as well as outboard motors, personal watercraft, motorcycles, karts and ATVs. 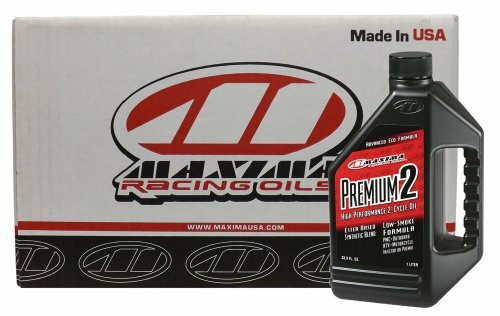 Premium 2 is ideally suited for virtually all gasoline 2-cycle engines either as a premix or oil injection system.